The author shares her love of Victorian novelist Elizabeth Gaskell. 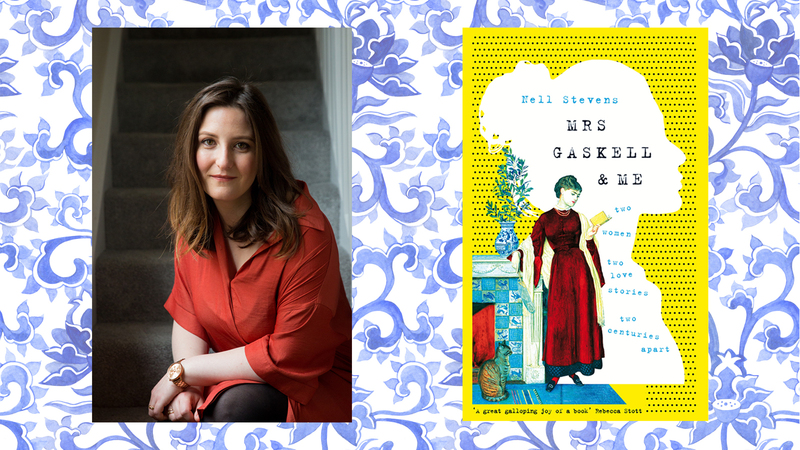 Nell Stevens, author of Bleaker House and Mrs. Gaskell and Me, shares what drew her to the life of Victorian novelist Elizabeth Gaskell, and how Mrs Gaskell’s life became an inspiration when dealing with her own anxieties about work and life. This is from a letter by the Victorian novelist Elizabeth Gaskell, written in 1857 after the publication of her biography of Charlotte Brontë. She had been travelling in Rome, and came home to find that her The Life of Charlotte Brontë had caused an uproar. To say the book was poorly received is an understatement: lawsuits were threatened, angry letters were published in newspapers, and Mrs Gaskell’s solicitor had issued public retractions in her name without her knowledge. Powerful figures felt she had portrayed them unfairly and demanded heavy edits. Snarky articles were published about the book and its author’s failings. People Mrs Gaskell had never even heard of wrote her “sheets of angry abuse” claiming she had misrepresented them in the book. It was the kind of reception all authors dread: a hostile readership, abusive responses, public condemnation. As I read about this period of Mrs Gaskell’s life, I was awaiting publication of my first book: a blend of memoir and fiction called Bleaker House. In the months before publication my anxiety about it became acute. What if people hated it? What if they misunderstood it? What if the people whose lives I had described as part of my own story—former partners, acquaintances, employers—found my portrayals offensive? What if somebody sued me? “I am in despair about ‘the public’,” Mrs Gaskell wrote. “For some reason they seem to say such bitter & hard things about me, & one never comes to an end of them.” Reading about the reaction to The Life of Charlotte Bronte was like reading a description of my own fears for my book: the angry letters might be replaced by angry tweets, but their effect would be the same. But reading about Mrs Gaskell’s response to it all, her fury, her energy, the way she fought and worked and recovered, was like a how-to guide for dealing with my anxieties. I began work on a new project, a book that became Mrs Gaskell and Me, almost as a way to work through my fears about Bleaker House. Spending time with Mrs Gaskell in the writing of the new book was a salve to my worry, as comforting as hiding away from the world in the company of a very old friend. Because here’s what is wonderful about Mrs Gaskell: she was fierce, she was formidable, and she was the most resiliently joyful person I’ve ever encountered. I had read some of her novels as a teenager—Mary Barton, North and South—and categorised her as one of a cluster of nineteenth-century novelists whose work I enjoyed. I knew I liked Victorian novels, their capaciousness and involvement, but when I was younger I did not know that I liked Mrs Gaskell in particular. It was only later, as a graduate student, when I started reading her letters, that I began to see her not only as exceptional, but as an exceptional friend. In letters written 150 years ago, her personality crackled and sparked. I wanted to spend time with her: she was so lively, so much fun. “It’s after dinner & I am drunk,” she wrote to her daughter, and I desperately wish I could be drunk after dinner with her. She was a gleeful gossip and an unashamed hedonist. “Heaven,” she thought, “will be driving in an open carriage to Harrow, and eating strawberries and cream forever.” This seems to me to be absolutely correct, with one amendment: heaven will be driving in an open carriage to Harrow, and eating strawberries and cream forever, with Mrs Gaskell. The better I got to know Mrs Gaskell, the more I found myself turning to her for help. In her letters, stories and novels, I found advice not only on how to deal with pre-publication jitters and angry readers, but also on writing, on politics, on academic worries, and on heartache. She had an answer to everything. I fretted about being a single, thirty-year-old, childless woman; she had worried about her daughter Meta, who had been in the same position, but had decided that Meta would be absolutely fine. “I think an unmarried life may be to the full as happy,” she counselled, and I knew that she was right. Mrs Gaskell and Me is a record of our friendship, of the ways my reading of her life ended up shaping my own; of the parallels I found between her experiences and mine; of how, despite the great stretch of time between us, a 21st century writer and a 19th century one might nonetheless become fast friends. And even now that I have finished work on Mrs Gaskell and Me, she continues to advise me. “In the future,” Mrs Gaskell wrote, in the aftermath of the Charlotte Brontë furore, “I intend to confine myself to lies (i.e. fiction). It is safer.” And for all that I have loved spending time with Mrs Gaskell in my book, and for all that I am grateful to the people in my own life who have allowed me to write about them over the course of two memoirs, I shall follow Mrs Gaskell in this, too. My next book will be a novel. In 1857, after two years of writing The Life of Charlotte Bronte, Elizabeth Gaskell fled England for Rome on the eve of publication. The project had become so fraught with criticism, with different truths and different lies, that Mrs Gaskell couldn’t stand it any more. In Rome she found excitement, inspiration, and love: a group of artists and writers who would become lifelong friends, and a man – Charles Norton – who would become the love of Mrs Gaskell’s life, though they would never be together. In 2013, Nell Stevens is embarking on her Ph.D. – about the community of artists and writers living in Rome in the mid-nineteenth century – and falling drastically in love with a man who lives in another city. As Nell chases her heart around the world, and as Mrs Gaskell forms the greatest connection of her life, these two women, though centuries apart, are drawn together.